Bring peace, harmony and calm in your life with the soothing scent of Linari Onice scent. Herbal notes of lavender and sage set the stage for a peaceful atmosphere. The sweet smell of cardamom and the freshness of bergamot seduce the senses. Ravishing jasmine adds its unique appeal that enhance the innocence of the fragrance. Delicate whiffs of musk and tonka bean waft in the air and give it an exotic appeal. 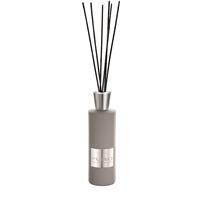 Linari Onice diffusers will promote peace and harmony to your surroundings. A natural way to stimulate sleep, or use in a mediation room. Linari Onice room diffuser refill comes in 500 ml/16.9 oz bottle. It is a transparent Linari glass bottle with a polished lid. The glass bottle has stylish refill logos of different sizes. It comes with a new set of capillary sticks to replace the old ones. Great pricing and wonderful Diffuser. It works really very well.